Postgraduate - Level 7 Diploma in Accounting in Accounting and Finance is designed to meet the needs of senior/middle managers and accountants in the running of their businesses and to facilitate their progression to higher levels within their organisation. Managers need to be aware of issues, able to analyse their potential outcomes and consequences and decide how to react. They do not have to be expert in all areas of business, but they need to possess a general awareness of what specialist facilities and services exist, and how they can assist in carrying out that role. The programme includes contemporary topics with cutting- edge content, reflecting key issues within the 21st -century business environment as well as the latest developments in management research. To improve the employability of learners by allowing them to explore the relationship between theories and their practical application in the business world. 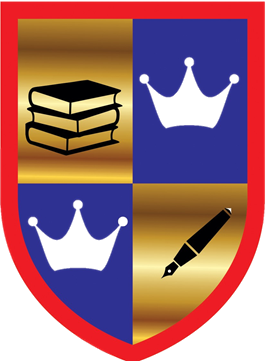 The Diploma is accredited at the postgraduate Level 7. The programme has a total equivalence of 120 credits. Completing the Diploma allows access to a dissertation at one of our University partners for a related Master Degree. Level 7 Diploma in Accounting and Finance is accredited by UK Ofqual - the Office of the Qualifications and Examinations Regulator in England with Accreditation Number: 603/0723/7. The Postgraduate - Level 7 Diploma in Accounting and Finance focuses on developing understanding, skills and abilities to equip the Learner with the awareness and aptitudes to be an effective accounting and finance manager. Learners must complete the following 6 mandatory units/modules and achieve 120 credits. The aim of this unit is to ensure the learner can exercise techniques and decide on decisions that add value in terms of corporate finance based on sound theoretical concepts. In addition, the unit helps the learner to present and interpret financial information in a recognised format and to work independently to solve the problems arising within the specified time given. It also ensures that the learning can be applied to the practical context. The aim of this unit is to provide learners with the ability to exercise the techniques and to make value-added decisions in corporate strategy and finance based on sound theoretical concepts. Further, it enhances the contribution of the formulation of business strategy, the creation of comprehensive business development plans, together bringing their specialist accounting and finance skills as well as the strategic management learning of the module. 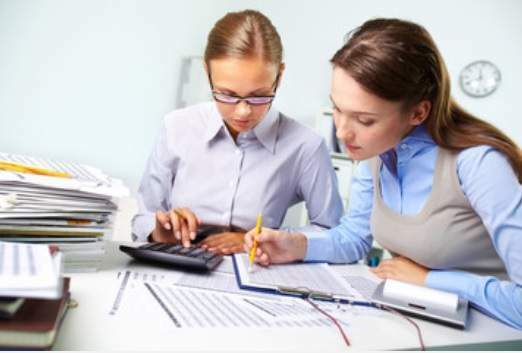 The aim of this unit is to help students understand the ability to choose and apply suitable investigative techniques to a variety of situations which are simple and non-simple in the accounting environment. The unit provides a profound learning on the aims, objectives and methods of auditors and their contribution to the achievement of true and fair view of the published accounts. The aim of this unit is to reveal the sequential development and guideline of accounting and the impact of accounting and finance on the environment, the various stakeholders and on the society. The learners of this module will be equipped with the knowledge and skills essential to act as an advisor in relation to the governing authorities on the private, public and charitable sectors. The aim of this unit is to assist the learners in the preparation and interpretation of financial statements for a group of companies where it is prepared in accordance with generally accepted accounting principles and to understand and evaluate the key aspects of accounting theory. On the completion of the unit, the learners will be able to communicate complex numerical and qualitative information effectively and solve problems in a selective and critical manner. The purpose of this unit is to develop the understanding of market equilibrium models, bond valuation and performance evaluation. At the end of this module, students should be encouraged to make enquiries as to the cause and effect of the impact of current developments in the world’s capital markets on the investment process and critically appraise current thinking on the theories and investments. Learners must complete all the above units successfully and achieve 120 credits before the Diploma can be issued. Successful learners will achieve Level 7 Diploma in Accounting and Finance - 120 credits awarded by Qualifi Ltd Awarding Body. You will study via our Virtual Learning Platform in a flexible way to study entirely online. After login to your online learning portal, you will study in a structured way - read books/resources online and write your assignments with full study support and complete the qualification. If you would like to study this course in Feb/March 2019, you are eligible to receive up to 45% discounts. Click Here to Check if Discounts is Available. This course provides a variety of careers and encourages learners to gain the skills, knowledge and understanding that will help them achieve their goals and aspirations. The course provides suitable careers for learners to work in the accounting and financial services sector of the economy in any public or private company/organisation. Career destinations are accountants, finance and investment analysts, General Auditor, investment bankers and so on. In addition, graduates of this diploma will also be eligible to complete a Masters degree in Accounting and Finance.